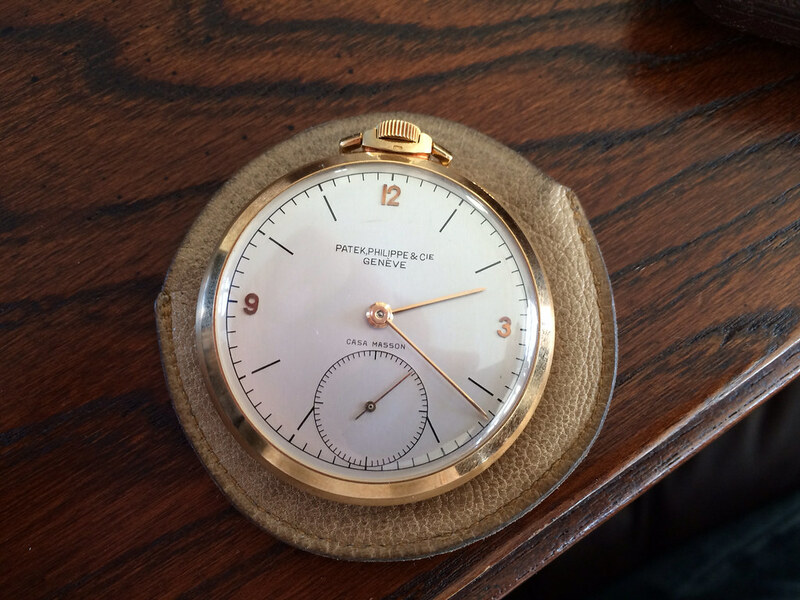 TimeZone : Patek Philippe » Retirement pocket watch - how to research? I am new to this forum, and a would-be participant in the hobby. I have come into possession of a gold pocket watch that was given to my wife's grandfather as a retirement gift. There is an engraving on the back with a thank-you for his years of service. I believe that it was given to him somewhere around the end of WW2, but I am still attempting to find that out. That would make it 60-70 years old. It is functional and does not appear to have been used much. The little pouch it is sitting on came with it, as does a brown case with a Patek Philippe insignia inside. Does anyone have an suggestions on how to learn more about these watches as retirement gifts, and perhaps where to get it appraised? Is it safe to assume that the appraisal value would be diminished with the engraving on the back? I have always been an admirer of the brand and was quite surprised to see that it was a Patek Philippe after hearing about it for many years, and never actually seeing it until now.